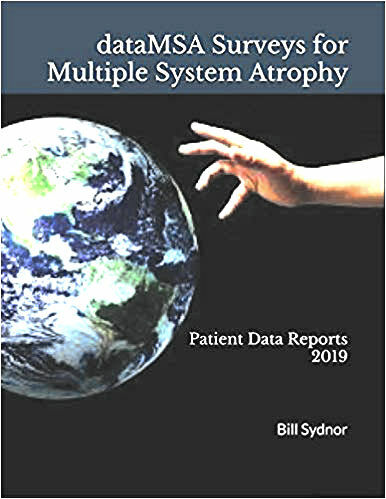 Multiple System Atrophy (MSA) ﻿ is a degenerative, progressive, neurological disease so named because its signs and symptoms affect multiple systems of the body. There is no effective treatment and no cure; people typically live about seven to nine years after MSA symptoms first appear. Diagnosis of Multiple System Atrophy (MSA) is challenging because there is no test that can make or confirm the diagnosis. Diagnosis is done through a process of exclusion and symptom tracking. As a result, some people are never properly diagnosed, although doctors are becoming increasingly aware of the disease. ﻿From March 2014 to March 2019, dataMSA﻿﻿﻿﻿ collected data and information from nearly 950 individuals from across the globe who were living with Multiple System Atrophy (MSA), and from caregivers and loved ones of those lost to MSA. The data is made available at no cost to groups, agencies and medical personnel providing treatment, education and research for MSA. An excellent resource for doctors, medical providers and support members; it includes survey results from more than 950 individuals affected by MSA. 100% of profits from sales are donated toward research and education in umasking the mysteries of Multiple System Atrophy. dataMSA Survey Representing Individuals Lost to MSA﻿. d) Encourage individuals and organizations affiliated with Multiple System Atrophy (MSA) ﻿research and education to resource the patient-driven data generated and presented by dataMSA on the dataMSA website or via the text: dataMSA Surveys for Multiple System Atrophy: Patient Data Report (as seen at left). e) Encourage neuro-researchers to disaggregate the patient-driven data generated by dataMSA to identify trends, patterns and correlations present in Multiple System Atrophy patients.